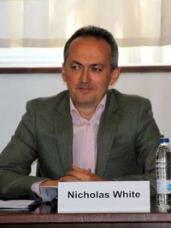 Nicholas White is a specialist in nineteenth-century French literature, with a particular interest in the issues of war, friendship, love, marriage, and the family, and in the methods of cultural and literary history. He is the author of French Divorce Fiction from the Revolution to the First World War and of The Family in Crisis in Late Nineteenth-Century French Fiction. He is now engaged on a book project on the 'war before the First World War': in other words, the Franco-Prussian War and the Commune (1870-71) and is the Principal Investigator of the AHRC-sponsored network on ‘The Art of Friendship in France from the Revolution to the First World War’, and was also the principal investigator of the Cambridge-PSL network on ‘Zola au pluriel’. He was one of the founding editors of Dix-Neuf, the journal of the Society of Dix-Neuviémistes, and reviews editor for H-France, and has edited or co-edited six volumes of essays and translations, including a special double number on Zola for the American journal Romanic Review.